The Sims team have just released a brand new blog post talking about the brand new Acting career coming with ‘The Sims 4 Get Famous’. Let’s deep dive into an award-winning career. Ah, Del Sol Valley. Where (most) dreams come true. 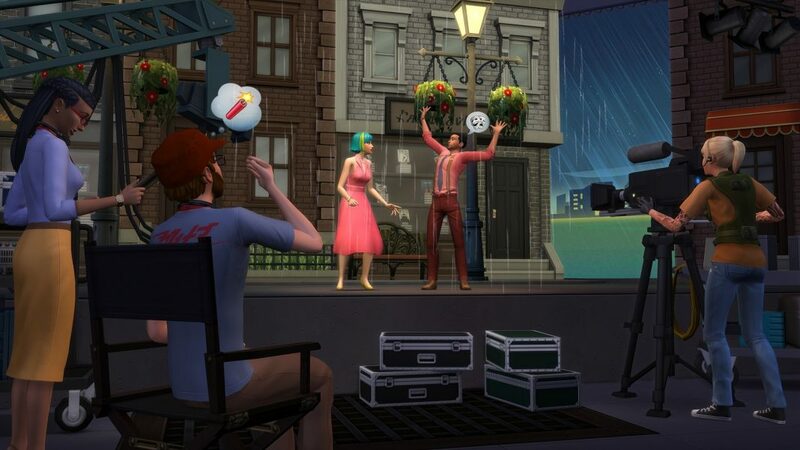 There are many ways to become famous in The SimsTM 4 Get Famous Expansion Pack*, but if your Sim has some big ol’ acting dreams, it’s time to get the camera rolling! You can’t possibly break into show business without an agency! Joining one will be your Sim’s first big step in their Acting career. When your Sim calls them on the phone, agencies get them auditions – the gateway to their success, fame, and fortune. When they book an audition, your Sim will need to work on the skills it requires. For the pirate-themed audition, your Sim’s physical prowess will be expected on set, so they’d better start exercising. For the romantic drama audition, Charisma is a must. Will they get the part? If so, you’re on your way, kid. 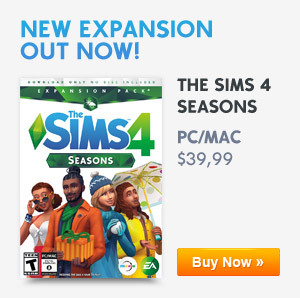 Now, you’ll have the choice to either send your Sim to work on their own or join them on set. On set, your Sim will get into hair, makeup, and wardrobe (the wardrobe alone is worth joining your Sim), then perform scenes based on the skills they developed. If your Sim does well at their gig, success! Over time, they’ll earn Fame Points, which can be spent on Fame Perks. Woot! Also, when your Sim becomes a Notable Newcomer, one of the first levels of Fame, they’ll acquire a quirk in their personality. The more famous your Sim gets, the more quirks they’ll get. Will they be a paparazzi darling, a serious actor, or even encounter “stans” more than other Sims? When your Sim isn’t making magic happen on set, there are lots of ways to work on their career. Memorizing a script, working on a scene with someone, or even giving a performance for tips all boost their acting level. The higher your Sim’s acting level, the more exciting their film projects will get. They can hone their craft with a tear-jerking hospital scene, police station thriller, or even post-apocalyptic drama. Um. . . fun! Rub elbows with world-famous celebrities, get photographed by the paparazzi, and gain loads of adoring fans. Oh, and act in movies and stuff. It’s all about the art, right? To get even more detail about Get Famous and the Acting career, be sure to tune into the Twitch livestream, happening October 26, 2018. Previous ArticleThe Sims 4’s Next Maxis Monthly Is Being Held November 6th, 2018!Next ArticleThe Sims Mobile: Halloween Hunt Starts This Week!